This is a new type of post for site: weekly technique tips. 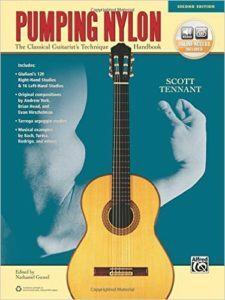 For the first week I though I would use one of the most popular books for the classical guitar Pumping Nylon by American guitarist Scott Tennant. 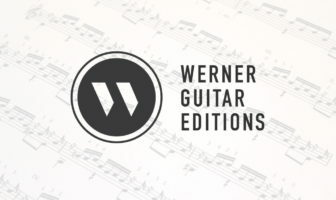 It’s a great reference/exercise book with short memorable exercises for warm ups or technique correction. This is his exercise Odair’s Favorite Drill. One big tip: Try to keep one hand position the entire time, let the fingers do the moving. See more lessons from Pumping Nylon. Thank you Bradford, that was quite helpful.